It is not necessary to invest in expensive products or reveal your skin to jarring beauty treatments so as to have a radiant looking skin. You already have the best product in your pantry that can do wonders for your skin- Baking Soda. Yes, you heard it right. Baking soda holds absolute potential to make your skin smoother and healthier. The multitasking product is the most inexpensive way of nourishing and healing your skin. The anti-bacterial and anti-septic properties help in combatting all types of skin problems. The baking soda face mask presents the best way of getting rid of all acne, scars, wrinkles and skin rashes. I am sure a lot many of you must be dealing with the complications of a problematic skin such as aggressive breakouts, uneven skin tone, blotchy skin etc. But now, there is no need to worry. Try out the baking soda face mask to get rid of dull skin. Make sure to perform a little patch test to ascertain if your skin is sensitive to it. The baking soda face mask offers effective solutions for treating acne and scars. The antifungal properties fight all bacterial infections, slowly and eventually healing the skin. The face mask helps in successfully removing all blackheads. It makes the skin firm making it easier for you to extract out all blackheads. It works as an excellent skin scrub, naturally exfoliating the skin pores. It opens the skin pores and absorbs all excess oil, making your skin look radiant. Baking soda is a fine powder that consists of sodium and pH neutralizer. It helps in discarding the dead skin cells especially from the darkened areas. By balancing the pH levels of the skin, baking soda helps in maintaining an even and clear skin tone. Regular application of baking soda face mask will help you in get a brighter, whiter and a shinier skin. How to Make Baking Soda Face Pack at Home? Making a baking soda face mask is not a cumbersome job. You easily use the amazing ingredient alone or in combination with other products in order to pamper your skin in the best way. Following are some of the best DIY facial masks for getting a smooth, even and glowing skin. As discussed above, baking soda is an amazing skin exfoliant that works wonders for acne prone skin. 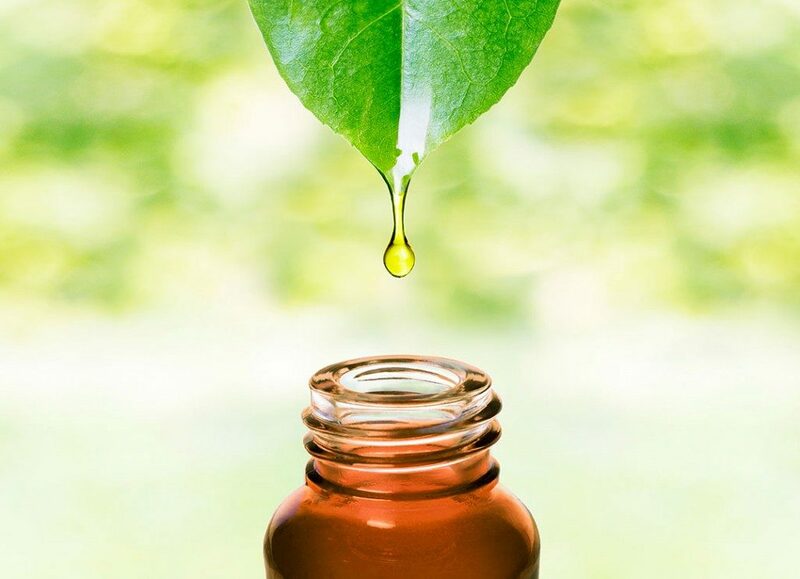 It helps in controlling the secretion of excessive oil from the skin pores, leading to a better and firmer skin. Mix the baking soda with water to form a smooth and thick paste. Apply the mixture on a clean and damp face, carefully avoiding the eyes and the lip area. Massage a little in circular motion and let it sit for 5 – 10 minutes. Wash with warm water and pat dry. Apply a gentle oil free moisturizing lotion for a smooth skin. Make sure to repeat the process 2- 3 times for achieving an acne free clear skin. This is the most effective home remedy that helps in achieving blemish free fairer skin tone. By adding some simple ingredients such as oats and chamomile tea, you can greatly enhance the effectiveness of the mask. Bring the water to a boil and add the chamomile tea bag. Remove the water from the stove and cover it with a lid. Keep for 5-10 minutes. Take the ½ cup of oats and blend it in the mixer grinder. Make it smooth. Add ground oats, baking soda and honey in a bowl. Mix well. Add 3 tablespoons of the brewed tea. Mix well to form a paste of thick consistency. Apply the mask on a damp face, carefully avoiding the eye and the lip area. Gently massage for 2-3 minutes. Allow the mask to sit for 10 – 15 minutes. Wash the face with lukewarm water, massaging it a little in circular motions so as to get rid of the dead skin. Rinse properly and follow up with a good moisturizer and toner. The skin will instantly look fresh and radiant. 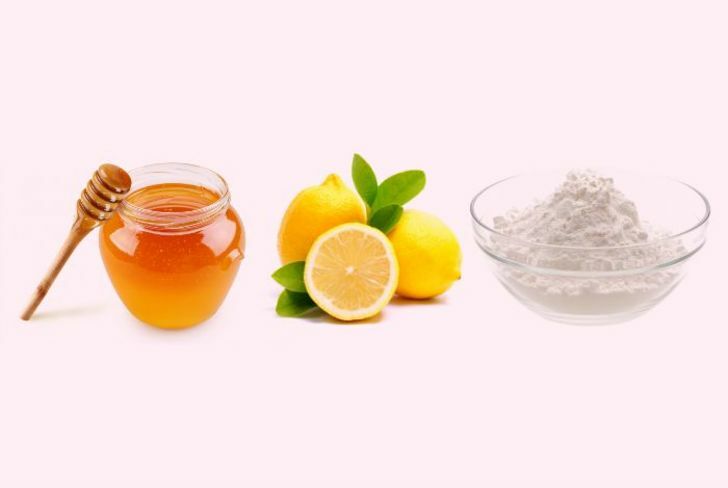 The three ingredients work together to form the perfect anti-blemish facial mask. It helps in achieving a blemish free clear skin by getting rid of excess sebum from the skin pores. By adding a little amount of honey and lemon, you can soothe out your skin, making it fairer and whiter. Add baking soda, lemon and honey in a bowl. Mix well. Apply the paste over the face and neck, discreetly avoiding the eyes and the lips. Allow the facial mask to sit for 10 to 15 minutes. Wash with lukewarm water and pat dry. In order to make your skin brighter, it is essential to include exfoliating in your skin care routine. The amazing home remedy works as a great skin brightening and exfoliating scrub, removing all pathogens and thus giving you a healthier and younger looking skin. The combination of baking soda and the citric acid in lemon works well for all skin types. By removing the dead skin cells, it reveals an even and brighter complexion. Take baking soda and lemon use in a bowl. Mix well. Wait for a minute and add coconut oil and tea tree oil to the mixture. Mix all the ingredients well in order to form a smooth paste. Carefully apply the pack on your face and neck. Let it sit for 30 seconds. Dip your fingers in lukewarm water and gently massage your skin for around 1 minute. Wash with warm water and pat dry with a clean towel. Follow up with a gentle hydrating moisturizer and a good sunscreen lotion. Repeat the process twice a week for a glowing skin. I am pretty sure a lot of you must be facing blackheads or maybe whiteheads issues. Well, with the help of this effective formula, you can successfully get rid of these skin imperfections. 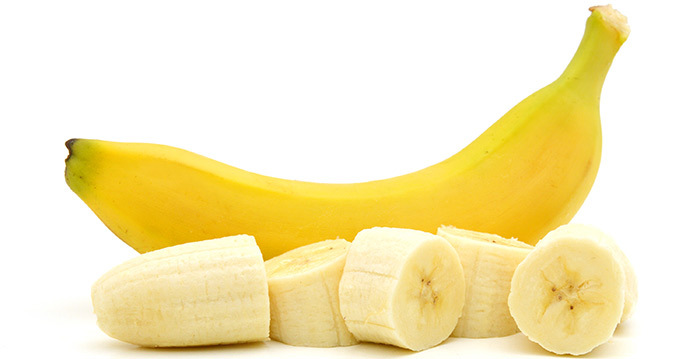 The following face mask uses banana and vitamin E along with baking soda that works wonders for your skin. Add all the three ingredients in a bowl. Mix well. Apply the face mask on your face, focusing on areas such as the nose and T- zones with whiteheads and blackheads. Gently massage the skin for 1 to 2 minutes so that the mask gets deeper into the skin. Wash with warm water. Repeat it at least once every week as it will help in deep skin cleansing. Can Baking Soda Prove to be bad for your Skin? For a healthy skin, it is essential to know the pH level of the products that you use. The pH scale reads from 0-14 and the number 7 stands for neutral. Anything that is above 7 is considered to be a base or alkaline in nature. Similarly, anything that is below 7 is an acid. The pH level of the skin falls somewhere around 4.5 to 6.5. When you apply something alkaline on your skin, a lot of damage can happen, disrupting the skin barrier. So when you are using baking soda with water, you are disrupting this skin barrier making the skin even more damaged and dehydrated. When baking soda is applied on active acne, it can lead to catastrophic effects. It is true that baking soda holds antiseptic properties; however, the acne bacteria dwelling on the bottom of the pores is anaerobic. This means that it can be simply killed by plain oxygen. So people, who use baking soda for treating acne, usually end up making it worse. After going through the entire post, you can decide for yourself if you want to give baking soda face mask a try or not. 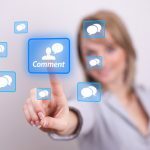 However, if you wish to do so, it is imperative to keep the following considerations in mind. Never use baking soda on a sunburnt area, sore skin or cuts as that will further irritate the skin. Always use the baking soda on the arm first before trying it on your face to check sensitivity. Make sure to apply a good sun screen moisturizing lotion after using a baking soda scrub in order to prevent skin redness or rashes. When massaging, make sure to do it gently as extra pressure can cause skin irritation. 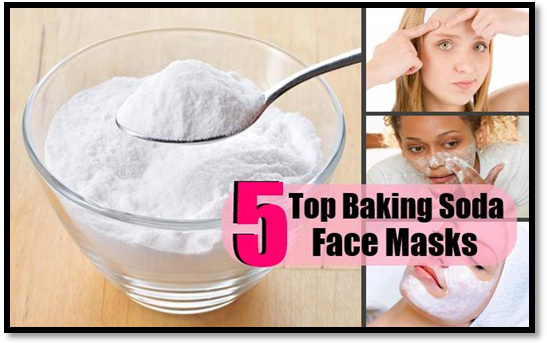 While applying the baking soda face mask, be careful to avoid the delicate eye and the lip area. If by chance, the mask gets into the eye, immediately wash with cold water. Use the baking soda scrub or facial mask only once or twice a week, as it can lead to skin dehydration. baking soda has amazing bleaching and cleaning benefits and it can be used in multiple ways to enhance the beauty of the skin and body. baking soda is effective in teeth whitening as well. 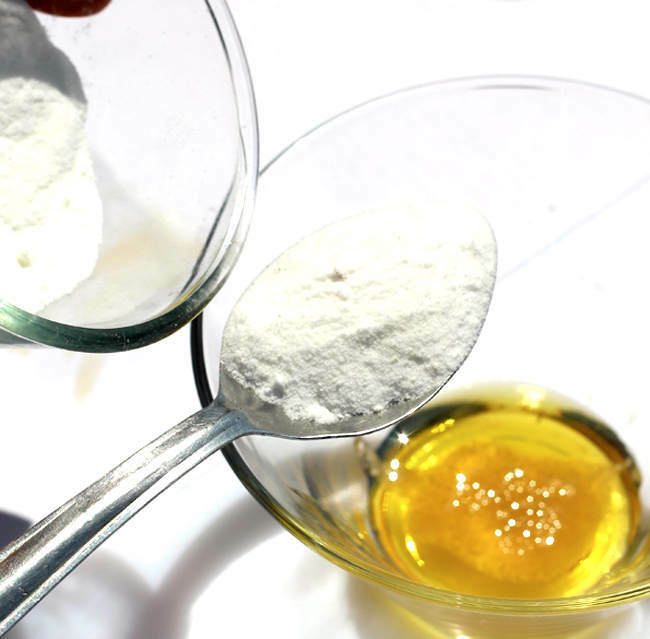 Simply, add few drops of water to one teaspoon of baking soda and mix it well, to form a paste. This is the effective teeth whitening paste, sue it as you use your regular toothpaste and get whiter teeth in short time.